Insurers operate a clause called Average – When you under insurer – whether deliberately or not – Insurers are well within their rights to apply the average clause – The clause will effectively reduce settlement by the % that you are under-insured by. For example if you get cover for £100k and it should be £200k and you claims for £50k then you will only get £25k. Material Damage – These covers refer to damage or loss of property – for example buildings, contents, tenants improvements. Property Owners/Public Liability – This cover is designed to cover your legal liability in the event of injury/illness to your tenants of members of the public on your property that you are responsible for. Legal Expenses – Covers the cost of legal expenses if someone sues you. What should my Landlord policy include? What is Public Liability Insurance? – This covers Injury or damage to a third parties property as a result of a fault with your property – E.G a roof tile falls down onto a visitors car. What does loss of Rent Cover? 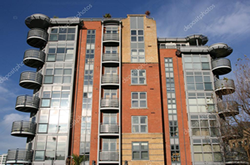 – In the event that your property becomes uninhabited as the result of an Insured peril this section will indemnify you against the amount of rent you’d have received if the incident had not happened. If my Tenant trashes my property am I able to claim? – The answer is yes if you have malicious cover on your policy – This is not a standard cover and can increase premiums however once you have this cover in place if a tenant does damage your flat maliciously then a claim could be made. What is Subsidence? Subsidence is movement of the land on which a property is built and will result in large cracks and parts of the building coming out of alignment . It is usually caused by tree roots or occasionally by changes to the water table.